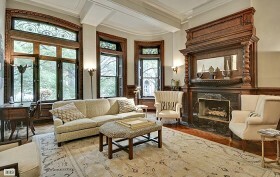 Here’s an opportunity to own a piece of history in this beautiful $2.995 million parlor-floor duplex in the mansion that once housed the Brooklyn Women’s Club and the Brooklyn Woman Suffrage Association. 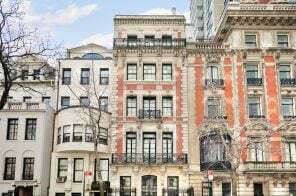 This very building at 114 Pierrepont Street was the gathering place of visionaries like Laura Curtis Bullard, Elizabeth Tilton and Ida Sherwood Coffin, who hosted lectures on world politics and peace advocacy as well as events like card games. And the apartment is as grand as its history.